Here is an event you won't see on that other site. We will be focused on OpenCaching North America and TerraCaching hides, but there are a couple other caches along the trails we could stop at - one of which was hidden by fellow OCNA and TC cacher, cycleangela. The event will also be listed on TerraCaching as TC89SB. I've set the event coords back on the trail to emphasize the fact that this event is a cache hunt, not a meet up in the parking lot before the cache hunt. Please be at the listed coords by 2 PM. I'll likely arrive at parking by 1:30, if you want to walk back with me. We will start our hunt promptly at 2, but two of the caches are very near the listed coords, so even if you're running a little late, you should be fine. I figure that primary target for this event will be folks who are newer to OCNA and TC or at least haven't found these caches. Or if you're the own any that aren't mine (chaz), come along for the fun and take the opportunity for a maintenance visit. Check out the nearby OCNA caches and the links to the TerraCaches and other before coming out. You might need to solve a puzzle or two. I own some and found others long ago and don't necessarily have the final coords handy. Plus, won't it be more satisfying if you solve them yourself before going out? Be sure to check the link below to find other caches nearby on OCNA. If you would like me to send you a GPX file of the caches we will hunting and some of the other alt caches in the area, please let me know and I will send you a combined GPX you can load to GSAK or directly to your GPS or phone. Ther are also a number of Munzees along the trails if you're interested. I'll be hosting a standard meet & greet starting at 6 PM not too far from the trails, so plan to come out to it, too, and share your stories with ohters. I will plan to be back at parking no later then 5:30. We may not have time to do all these caches, but will do our best. Afterwards, I hope you will be able to attend my meet and greet at Pepperjacks. 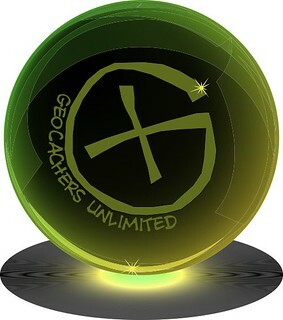 Join Geocachers Unlimited onFacebook and Google+. W 76° 50.065' Park here and hike back to posted event coords. Sfcchaz served as my unofficial cohost since he owned half the caches we were doing and had already found the other half - except for a 3 new ones we put out. Zepp914 was our only other attendee since RedLeg7 couldn't make it after having to work Saturday night at the last minute. This was just the first of what I hope will be a series of events to help introduce folks to the world of alternative caching sites. This was an excellent end to the day after attending DudleyGrunt's - Going on a Cache Hunt - Sept 27, 2015 event in Savage Park. After hiking 4.5 miles in the park for that event we had 15 geo-based finds: 6 Opencaching North America caches, 5 Terracaches, 3 Groundspeak caches and 1 letterbox. Thanks for hosting this event and I look forward to more in the future like this one. Thanks for hosting a fun event and placing new caches for us to find. Sorry Chessie81 couldn't join us.